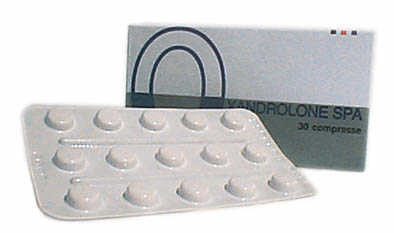 Oxandrolone has often been used as a growth-promoting agent in the therapy of boys with growth delays in adolescence. 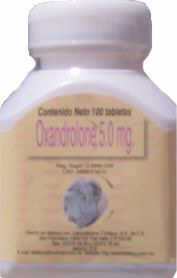 In fact, according to one Italian study, oxandrolone was as effective as GH in promoting growth in these individuals. One French study found it superior to GH in treating girls affected with Turner's syndrome, another growth-delay ailment. In obese individuals, oral oxandrolone has been shown to decrease subcutaneous abdominal fat more than testosterone enanthate or weight loss alone, and it also tended to produce favorable changes in visceral fat. Oxandrolone works specifically by amplifying the amount of growth hormone (GH) released per burst without altering GH secretory burst duration, frequency, or the GH half-life. As little as 2.5 mg of the drug can positively shift nitrogen balance. Dosages used by bodybuilders range from 0.125 mg to 2.5 mg per kilogram of bodyweight. Studies do not support any benefits to dosages over 1.1 mg/kg, and European bodybuilding coaches consider 0.25 to 0.5 mg/kg to be the optimal dosage. Most male bodybuilders have reported significant improvements in strength and recovery ability from dosages varying between 30 mg and 80 mg per day. Female bodybuilders use about half of the male dosage. Oxandrolone is a multipurpose drug, as it is used during both off and in season for competitive bodybuilding, many weight-class regulated sports, track and field, cycling, and strength sports. In strength-training circles, Oxandrolone has been reported as the most efficient strength-inducing drug on a per-mg basis. It is believed to be one of the best inducers of creatine phosphate synthesis in muscle tissue. However, there are no scientific studies to support this statement. Its low androgenicity makes it very popular with many female athletes, such as bodybuilders. It has virtually no liver toxicity, even at doses as high as 80 mg a day. It's even been given to patients suffering from liver cirrohsis. Oxandrolone will not shut down a man's pituitary-gonadal axis. There is no evidence that it suppresses testosterone or sperm production, which is why it's the oral of choice when pyramiding off steroids. Many bodybuilders have tapered off anabolic usage by switching to Oxandrolone at 30 mg per day and slowly reducing the dosage by 2.5 mg every five days until endogenous testosterone production is back to normal. Bodybuilders rate it as an excellent hardening drug for physique contests. Athletes report that with Oxandrolone, they have the highest retention of gains upon cessation of use when compared with other steroids. It's one of the only anabolics that does not cause premature closure of bone epiphyses in children. Since it doesn't aromatize, there's no need to take Tamoxifen, Proviron, or Cytadren when using oxandrolone. It has more negative effects on blood lipids than reported originally in scientific literature. In females, dosages above 15 mg a day can cause facial hair, deepening of the voice, clitoral hypertrophy, and acne. With Oxandrolone, a very limited number of individuals have reported gastrointestinal problems ranging from a sensation of stomach fullness to appetite suppression, nausea, and diarrhea.